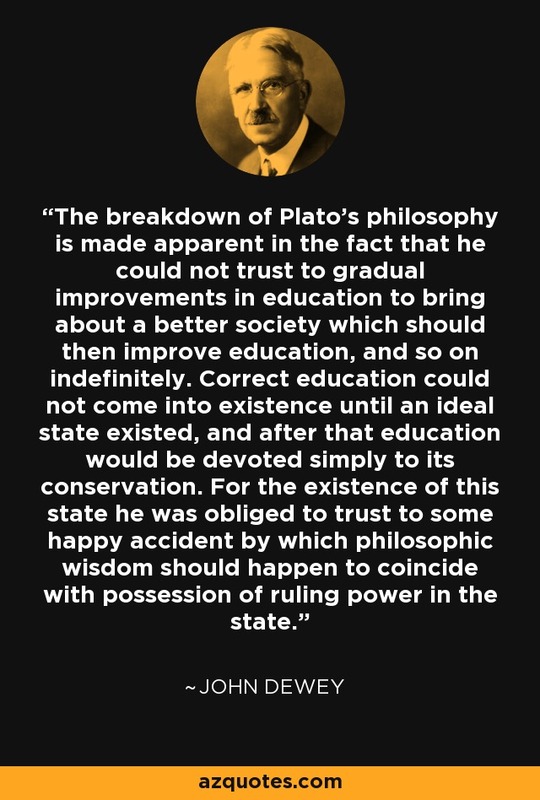 The breakdown of Plato's philosophy is made apparent in the fact that he could not trust to gradual improvements in education to bring about a better society which should then improve education, and so on indefinitely. Correct education could not come into existence until an ideal state existed, and after that education would be devoted simply to its conservation. For the existence of this state he was obliged to trust to some happy accident by which philosophic wisdom should happen to coincide with possession of ruling power in the state. "Democracy and Education". Book by John Dewey, 1916.